Home » Blog » Why Do You Need To Develop An Online News Portal In 2017? 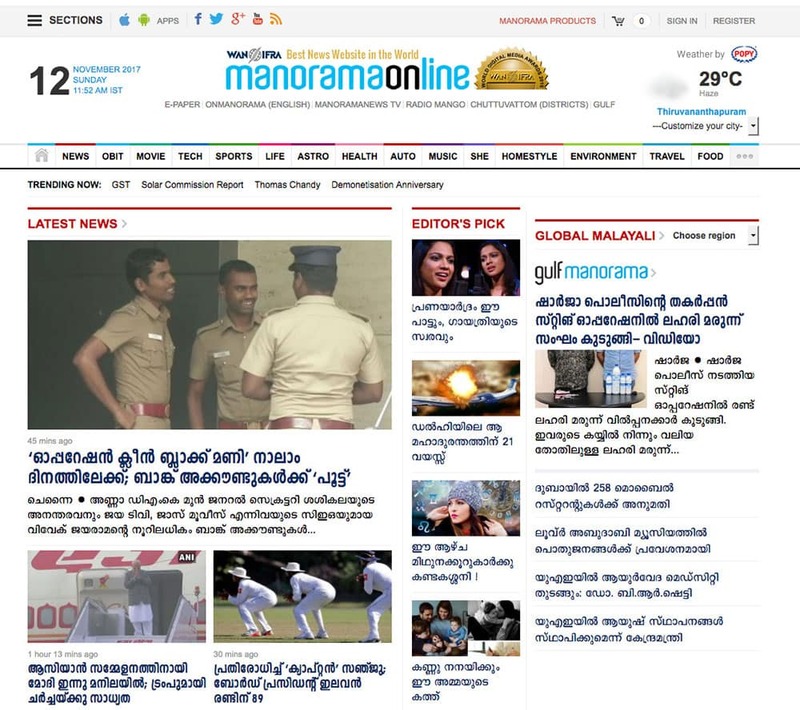 This is my second post in the series of online news portal website design and development. 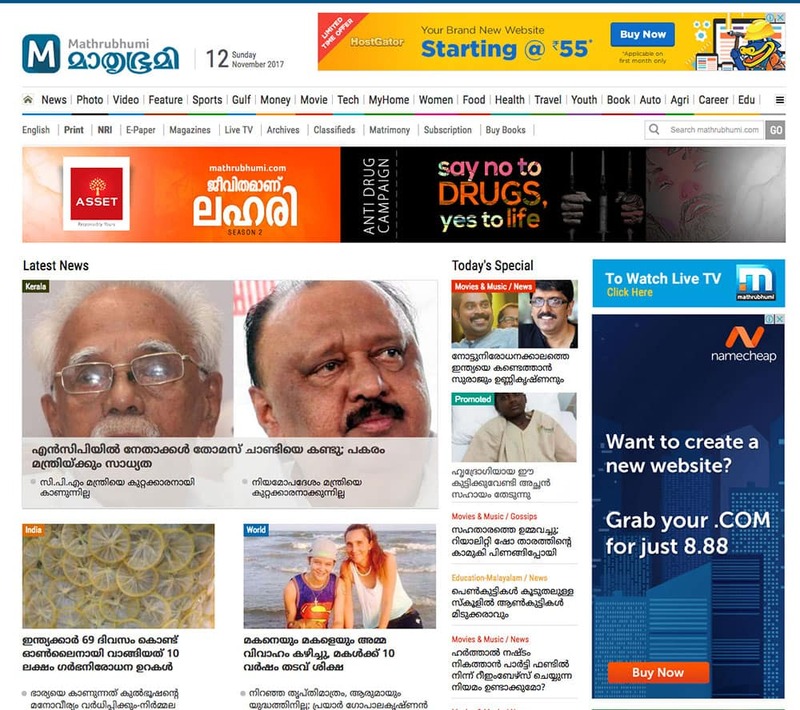 In the first one I discussed on some distinctive features of news portal design . In this article I mainly deal with the reasons for why an online or digital move is essential for newspaper and magazine industry or even for businesses. Why do you need an online portal or website for your newspaper, magazine, or business in this period of information and technology revolution is question that needs no answer. What I mean is that the answer is within you, your family, and your surroundings. Nowadays, how often do you read print newspapers or magazines or are you getting the fresh updates on things happening around the world from the apps you downloaded on your mobile, tablet or PC? You know the answer. With rapid and exceptional growth of technology around the globe, news industry has been undergone many changes. Most of the news agencies started online news portal services and introduced e-papers. Since the number of people who are using Internet is quickly increasing day by day, the growth of online readership and online news portals will be in heights in the coming years. Online news portal and website development and design companies have good news from across the world. There has been significant growth in the online readership of news and information content in the past years. According to a National Readership Survey (UK), in the second quarter of 2016, ‘The Independent’ had a total audience of 21.1 million each month, a rise of 46% from its readership in the second quarter of 2015. Amazing, right? Online news portal and website designers and developers will have a good time now and in the future as well. According to World Press Trends survey 2016, at least 40 percent of global internet users read newspapers online and that in most developed countries, readership on digital platforms has surpassed that in print. Newspapers and magazines, even businesses, are coming to knock your door, developers. In India, though print media is growing despite its decline in all the other markets, a quick growth in online news readership is expected. Based on a survey by comScore in 2013, a significant growth was seen in the Indian daily readership of online news with an increase of 34 per cent to 9.4 million average daily visitors. According to the study, this trend was to grow significantly in coming years as news/information consumption is one of the popular activities among the internet users in India. News portal development and design sector in India has all the possibility to believe that the sector is going to get more and more projects in the future. Facts and figures of growing online readership in India indicate to this trend. A recent survey shows that a majority of nearly 50 crore smartphone users in India spend most of their time (72 percent) surfing the net on their mobile phones. News and entertainment are two categories most consumers are looking for. Online news portal website development is a critical component for the success of news industry in today’s world of high-speed technological growth for many reasons. Here, I tell you seven major reasons for why people are going online and why you need an online presence to reach them. Online news portal design is an essential because the future belongs to the online not to the print. The explosive growth in the usage of mobile devices for news and information during the past years persistently boosted the newspaper digital audience. According to the studies and surveys, the trend is going to increase in the future and there is seen no any sign of decrease. Nowadays, people want to know things with immediacy. They are not anymore ready to wait for to tomorrow. Based on a study released from University of Stirling, immediacy seemed to be the main reason for online news adoption. Unlike print versions online portals are fast, up-to-the-minute and with 24/7 updates. Online news portal designs provide the readers with the possibility to customize the content and categories according to their interest and taste. Print media doesn’t give this freedom or a sort of control to the users. This freedom and control influence the level of readers’ attachment to the portal. Online portals or websites are easy to access from everywhere in the world. You don’t have to be worried anymore thinking what are the things taking place in your locale while you are abroad. Online news portals bring you the updates instantly. This easy access feature is tempting readers to avoid print media. People have started thinking that there is no point in buying a print newspaper or magazine if they believe they can get all the news they need online for free. And this is the main reason for the decline in circulation of print media across the world. This is another feature of online portal designs that attract more readers than print media. Readers are offered wide verities of categories from sports, culture, politics, entertainment, life style, education, health, travel, etc. which they don’t get in the printed versions. Live coverage of events, elections, sports, etc. drag the readers form printed media to the online portals. The days where people waited for the next morning to know the results of their favorite matches have gone. To sum up, to develop an impressive news portal website for your news or magazine industry is a need of hour. I even doubt that whether you will be able to exist without it. Seize the day and go for it.